New cookie recipe for you today. Originally, I set out to make cowboy cookies. Then after I had them in the oven, I realized I forgot to add the chocolate chips and oats. Oops! Even without those 2 things, these coconut pecan cookies still came out very yummy. They almost reminded me of the flavors in pecan sandies. In any case, these flourless cookies were delicious. 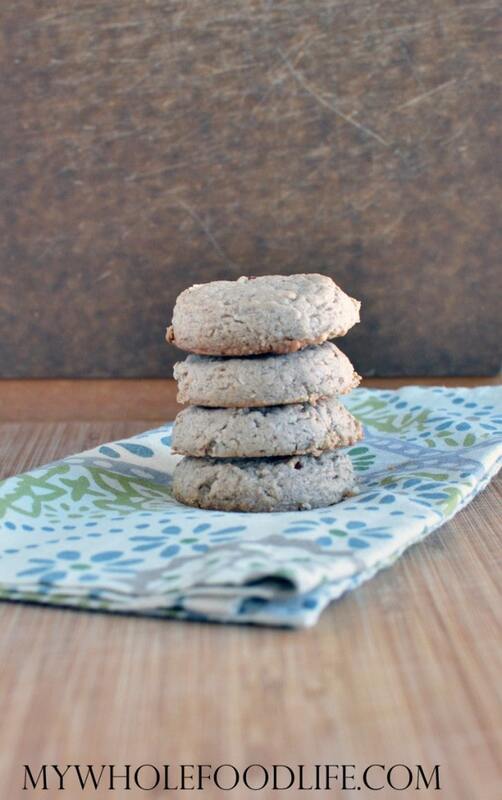 These cookies are vegan, gluten free and paleo approved. Very easy to make too. All you need is about 15 minutes! All you need is 15 minutes to whip up this healthy treat with no refined sugar! In a food processor , combine the cashew butter and maple syrup. Add the remaining ingredients and pulse until everything is mixed well. Let cool before transferring to an airtight container. These should last a couple weeks in the fridge and you can also freeze them for up to 6 months. Enjoy! So glad you like them Linda! These look so amazing!!!! I can't wait to try them!!!! (ASAP obviously). And they seem to fit with my not quite (insert unmentionable holiday here) mood.